This time russian post decided to deliver my package almost in time for a change. 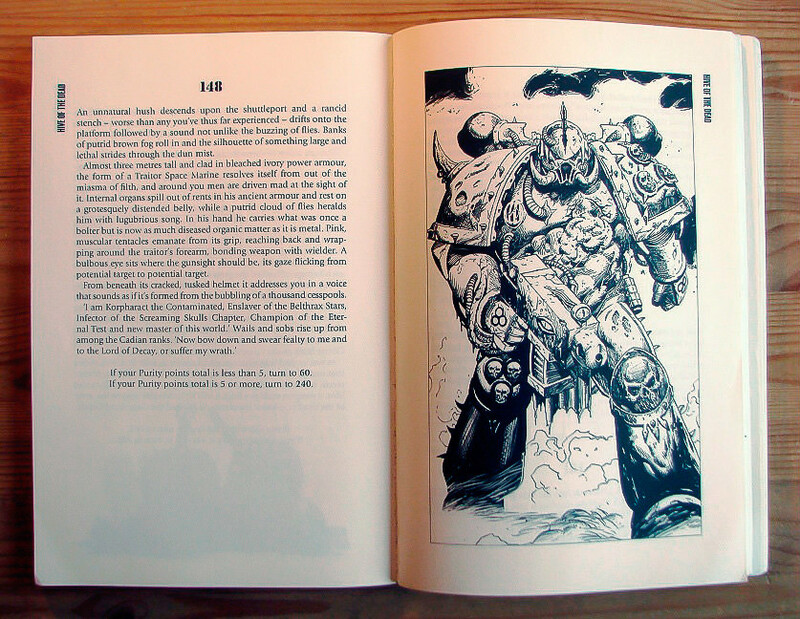 Among other things I finally managed to get my hands on the first Black Library gamebook - Hive of the Dead. I first heard about this kind of adventure books quite a while ago but I never had the opportunity to read (play?) one. So when I saw the thing appear on BL website, and moreover, one dealing with a survival in a zombie-infested hive, I decided that the time has come. 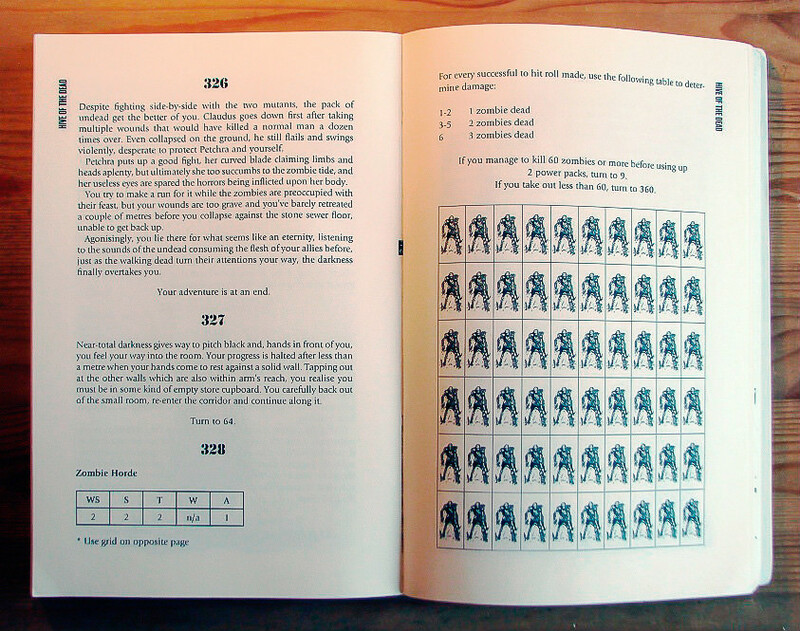 The gamebook has a very simple mechanic - you read the text, choose your actions and go to the page given. 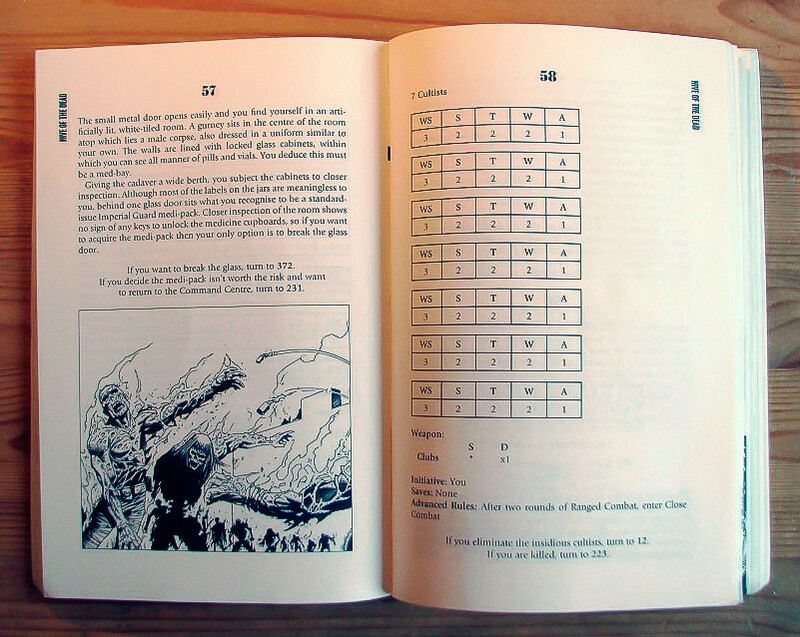 Occasionally you fight the encountered enemies, using the rules in the book. 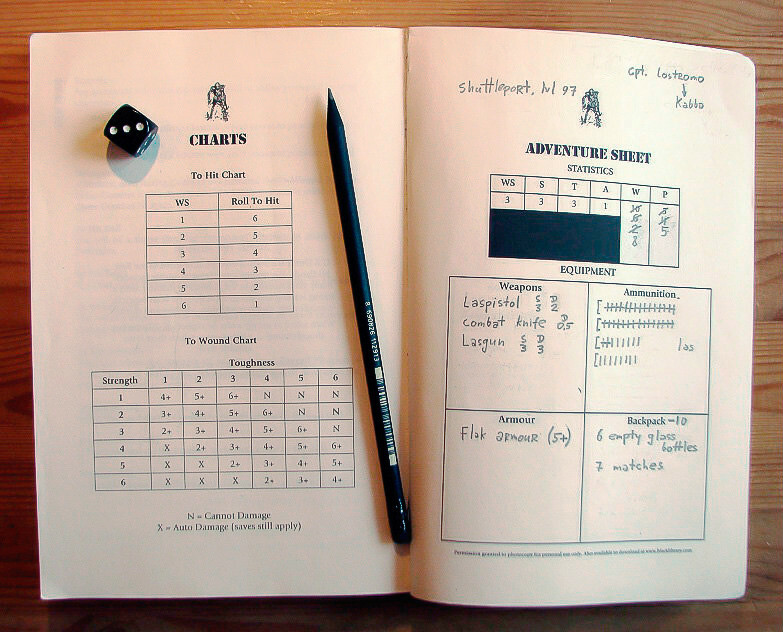 You collect valuable items, make notes in your Adventure Sheet, and throw you trusty D6 to determine the results of your and your enemies' attacks. Nothing too complex, but I was still interested to try it out. So first things first. Rules for combat stirred mixed reactions in me. On the one hand, common roots with tabletop 40k make it much easier to understand - I was able to grasp both the basic and improved versions of the rules without too much effort. On the other hand, there are no tactical decisions to speak of – any combat consists of nothing more then dice rolls and taking notes in your Adventure Sheet without any real choices made whatsoever. Given the huge amount of combat scenes in the book and dice rolls in each one, the battles become rather dull. Dice generator I downloaded on my phone helped out here, especially since I mainly played the thing during my travels. Another thing worth noting is the slim chance of a protagonist to finish the adventure in one piece. It's not as much of an advantage as one might think, given the shortcomings of the battle system, but since you can cheat you way out of anything by simply flipping to the needed page, I'll count this as a good thing. I would be much more dissapointed by the scene of Chaos Space Marine dying from a couple of lasgun shots. As expected, the story is not of much interest and doesn't have much in terms of twists, but it does have some interesting moments. On the way to safety you'll have to jump from roof to roof, stumble upon a chaos ritual in progress, take a swim in the sewer pipes. And meet some cultists, friendly mutants, one servitor, an imposing Chaos Space Marine, and maybe (Emperor save you) even the Great Unclean One. And zombies, obviously - common zombies, dog-zombies, two-headed zombies... Monotonous? A little. Predictable? Very much so. Boring? Not at all. Story does its job of putting the player in the skin of an Imperial Guardsman in a plague-infested hive. Replay with different choices may not turn the story around but will change enough aspects to keep things interesting. 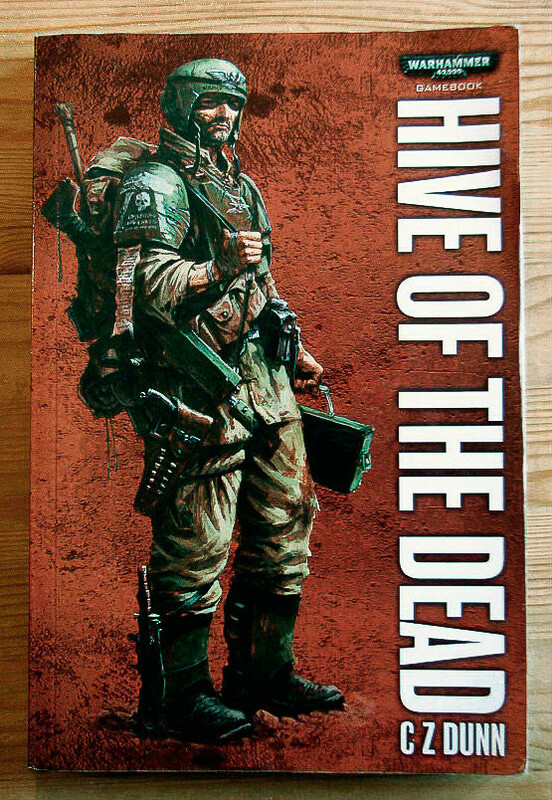 To sum it all up - in the end Hive of the Dead left me with a good impression, but more becuse of it's unusual status of a gamebook, rather then because of it's value. I doubt I would've liked it if I had a lot of experience with adventure books, but I still had a good time and enjoyed it.